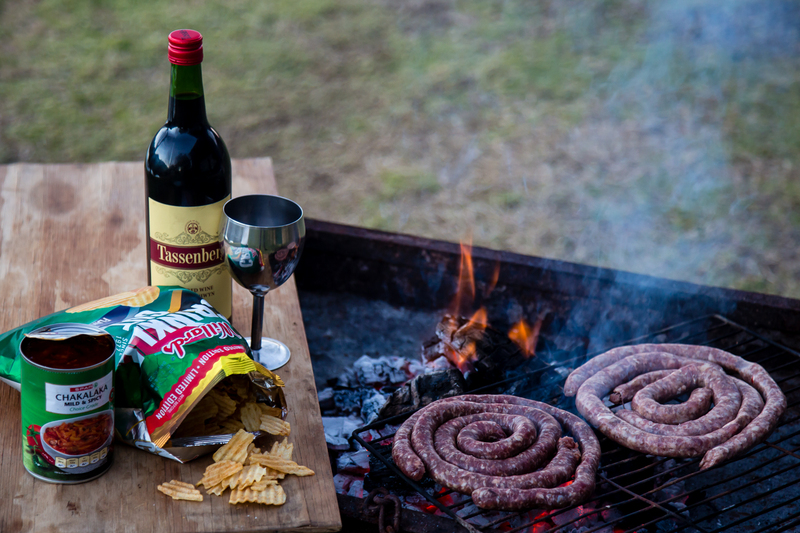 You get the “real” Grabouw boerewors made at a small butchery in a town called Grabouw, in the Overberg district, and then the Grabouw boerewors that you can buy at any of the major supermarkets throughout South Africa. So… on a recent road trip to scout for new locations to photograph, I thought it a good time to finally find out…. Grabouw is situated an hour’s drive from Cape Town, just off the N2 highway on route to Hermanus. I ordered my boerewors from the butchery on the main road and ask the lady behind the counter what made their boerewors special. “Like Kentucky Fried Chicken” I said. The furrow on her forehead indicated that she did not understand what I meant by that comment. The verdict… well, both versions of the Grabouw boerewors were very good, but let me just say this: I did not find it a coincidence or out of the ordinary at all when Hallelujah (Leonard Cohen) started on my playlist as I took the first bite of the original and in my opinion the real Grabouw boerewors.